Happy Friday, friends! Whew. It’s been a week around here. Today I’m linking up with April, Christina and Natasha for my Five on Friday ramblings. For the past two weeks, I’ve had a group of about 90 ladies testing out Pots & Plans… a service I’ve created that delivers a full week’s meal plan and complete grocery shopping list. The meal plan includes breakfast, 5 dinner entrees, and tips for upcycling leftovers to make delicious lunches… all for $100 or less. I’m super passionate about saving money AND eating well. I don’t believe that you need to choose saving over savoring. Each week’s meal plan and grocery list is $10 OR $30 for the month. I’d love for you to check out more on our Facebook page and consider ordering it for yourself! This week we’ve spent way more time on the couch and in front of the TV than normal as NB’s been fighting croup. I’m not at all anti-kid’s TV, but I am SUPER anti-slutty girl character TV shows. It hurts my heart to see how animators have made even My Little Pony look super trashy. But I was THRILLED this week to discover that alllllll of the original Care Bears (TV episodes + movies) are on Hulu now. Granted, I haven’t convinced NB to watch any yet, but I’d be lying if I said I hadn’t sneaked an episode to watch on my own when David’s working late. Annablair turned 7 weeks old yesterday, and I was cleared to workout just over a week ago. I’ve been hitting the gym regularly and started a running plan again. It’s felt great to work my muscles after seven weeks off, and I truly believe the endorphins have been fueling me all week. 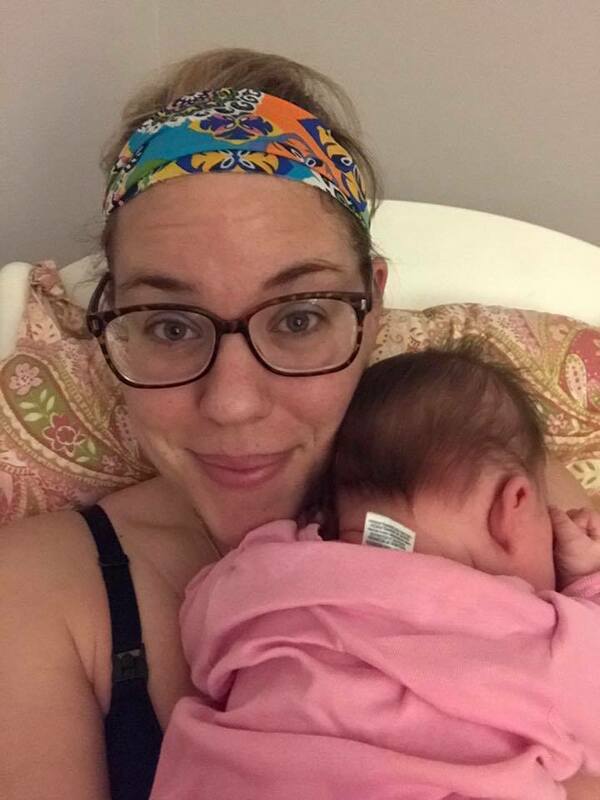 And I’ve found that my favorite Suzeebee buffs are just as effective during middle of the night feedings as they are in the gym for keeping flyaways and sweat droplets at bay. I mean, just admire that glow I’ve got going on. My baby sister is getting married in August!! 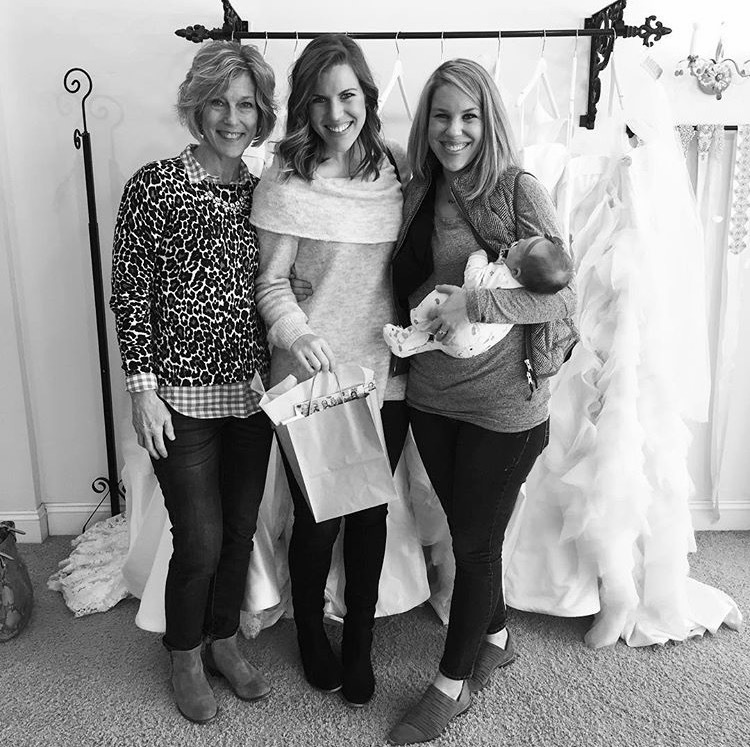 My mom, sister, Annablair and I went wedding dress shopping a few weeks ago and found her perfect frock at J. Major’s, which is also where I found my dress. I have just started planning her shower and would love to hear your favorite themes for a bridal shower. Davey is back chef’ing at Rooster’s Southpark after a nearly two-year break from restaurant life. Selfishly I’m pretty thrilled about his return corresponding with Annablair’s delivery since it means that I can swing by, grab a stool at the counter and enjoy a glass of my favorite white… Decoy Sauvignon Blanc. Before Nora Beth and Annablair joined our ranks, I would do that several times a week. Now I just dream about it daily, but am determined to schedule an evening sitter and go enjoy the sight of him cooking. And that glass of Decoy.